Successful U.S. HR professionals are excellent multi-taskers. They know how to recruit and retain the best talent, foster employee engagement, monitor employee performance and information distribution and proactively comply with ever-changing legislation – all while positioning their companies to be profitable and efficient in a challenging economy. It can be daunting at times. Juggling those responsibilities like a stressed-out parent juggles family, career and personal interests is challenging and requires quick thinking and attention to detail. But if some HR professionals and employers are like great parents, some can act a bit…childish. And like children, sometimes they do and say the damndest things. 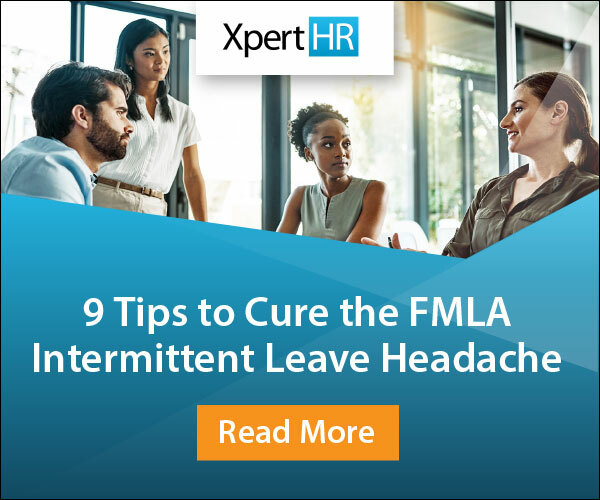 In advance of our webinar on Thursday, August 29: Termination: Fire Employees Without Getting Burned, here are here are three embarrassing terminations…and what HR can do to avoid them. The Facts: AOL CEO Tim Armstrong fired Abel Lenz, Creative Director of Patch.com, one of AOL’s local news properties, during a conference call with 1,000 Patch employees in August 2013. The call was intended as an announcement to Patch employees of upcoming staffing cuts. Mr. Lenz had apparently tried to take a picture of Mr. Armstrong as he participated in the call – something that he did regularly for posterity on behalf of Patch – and Mr. Armstrong responded by saying “Abel, put that camera down, now.” Then, without skipping a beat, “Abel, you’re fired. Out.” All while 1,000 employees listened. After the incident, Mr. Armstrong stated that he previously instructed Mr. Lenz not to record conference calls, but widespread speculation indicates that Mr. Lenz was going to be fired regardless of the incident. After all, he was the Creative Director of an under-performing entity into which AOL had invested hundreds of millions of dollars. The Fix: It’s never a good idea to terminate an employee publicly, and it’s never a good idea to terminate an employee for reasons that are unclear. Certainly a photograph during a conference call is not enough for a high-level employee of a large corporation to lose his job. A jury wouldn’t view that behavior as anything less than rash and vindictive. Employers should always remember to be straightforward and candid with employees regarding terminations. Don’t leave any doubts in their minds as to why they’ve been terminated and what evidence the employer has to justify the decision. Candidness will pay off in terms of reduced employee disputes and better litigation outcomes. The Facts: A 25-year veteran of the Iowa Division of Criminal Investigations (IDCI) was allegedly terminated in July of 2013 because he issued a speeding ticket to a car carrying Governor Terry Branstad. The Governor, of course, claims that the termination in July had nothing to do with the April 2013 speeding ticket, and instead occurred because the employee had made “negative and disrespectful” comments about the IDCI. The “Termination Notice” provided to the employee did not contain any information concerning discipline or warnings to the employee prior to the April speeding incident. What’s more, the employee claimed he had never been disciplined before in 25 years on the job. The Fix: It’s always important for employers to be consistent in terms of what they say to employees and to the public, and what information is documented. Employers should use contemporaneous employee discipline notices as evidence to build a case over time, not retroactive or questionable disciplinary notices created (conveniently) around the time some other incident occurred. The Facts: A 21-year veteran of the Bridgeport, WA Public Works Department was fired in June 2013 for allegedly shoplifting a $1.69 fruit pie from a convenience store, after paying for an armload of other snacks. The employee wrote a letter of apology to the store owner, whose market also sold canned goods, and the shoplifting charge was dismissed in Bridgeport Municipal Court. Nevertheless, the employee was “canned” for his shoplifting activity. Mayor Marilynn Lynn said she fired the employee for committing a crime and that the value of his “bounty” didn’t matter. The Fix: The punishment should always fit the crime and long-tenured employees should get the benefit of the doubt. Employers need to be wary of overreacting to certain incidents -particularly when those incidents occur in the public sector – to avoid public relations nightmares. They should also process their termination decisions slowly, conduct investigations, and wait until all the facts are available before taking action. Don’t forget about our live webinar this Thursday! I’m taking my termination show on the road to HR.com, where I’m conducting a live webinar on August 29, 2013: Termination: Fire Employees Without Getting Burned. Are you registered yet?